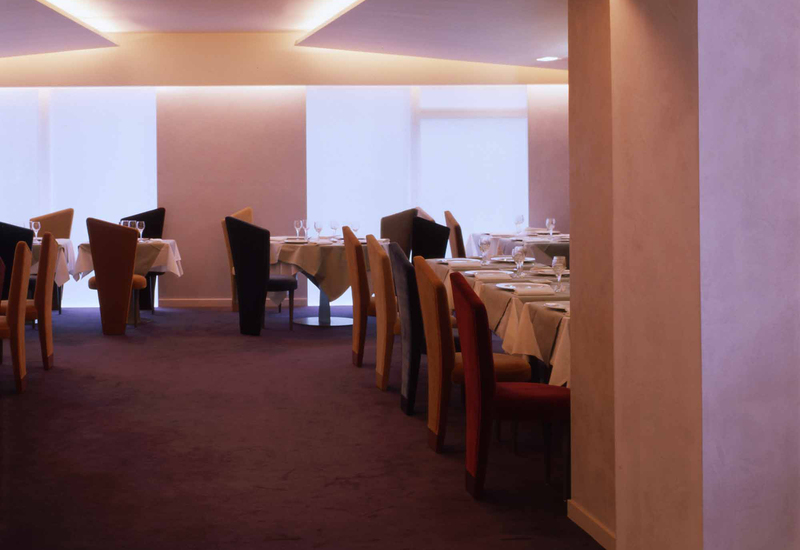 The restaurant « Les Grandes Marches » is a pioneering “prototype” in which new powerful expressionistic aesthetics, like the use of asymmetrical forms, dynamic curves and obliques in both architecture and furniture, have been tested for the first time. 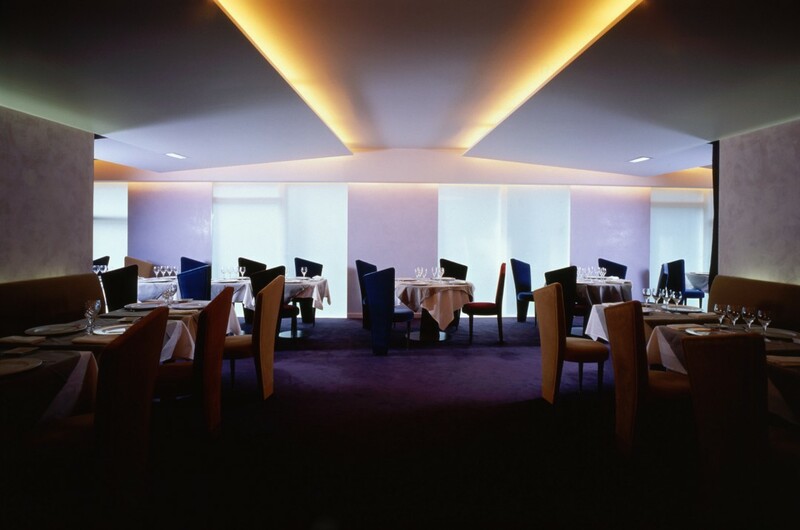 An elegant range of warm, vibrant or soft colors contributes to the dynamic atmosphere of the place. 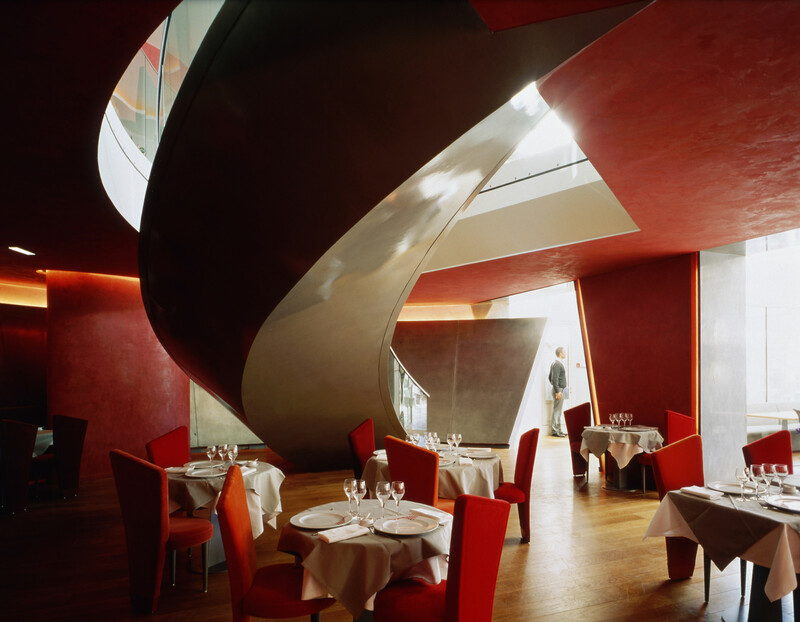 As the clients were meant to be immediately struck by the image projected by the main dining hall upon entering the restaurant, Elizabeth de Portzamparc has designed a light and spectacular spiraling staircase whose large steps are referred to in the restaurant’s name. It is a divider of space and a connection at the same time. 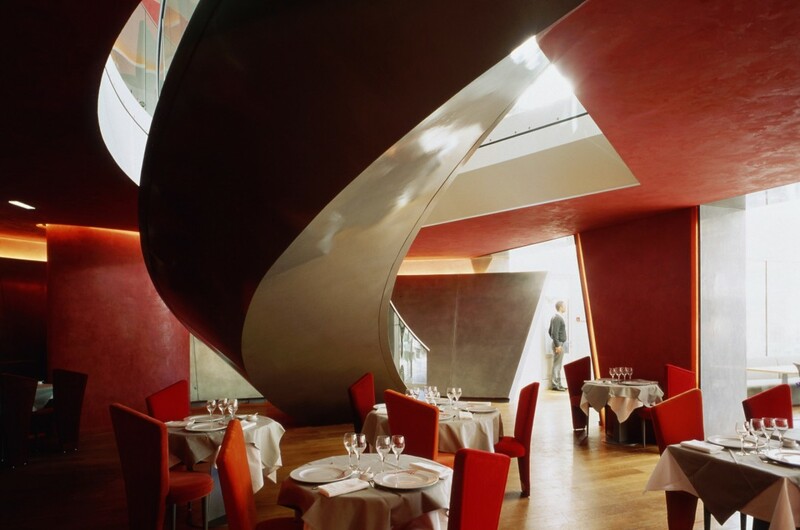 The underside of the staircase reproduces the characteristic shape of an elongated triangle, which can also be seen in the shape of the velvet-covered chairs or the illuminated niches and has become the trademark of the restaurant. 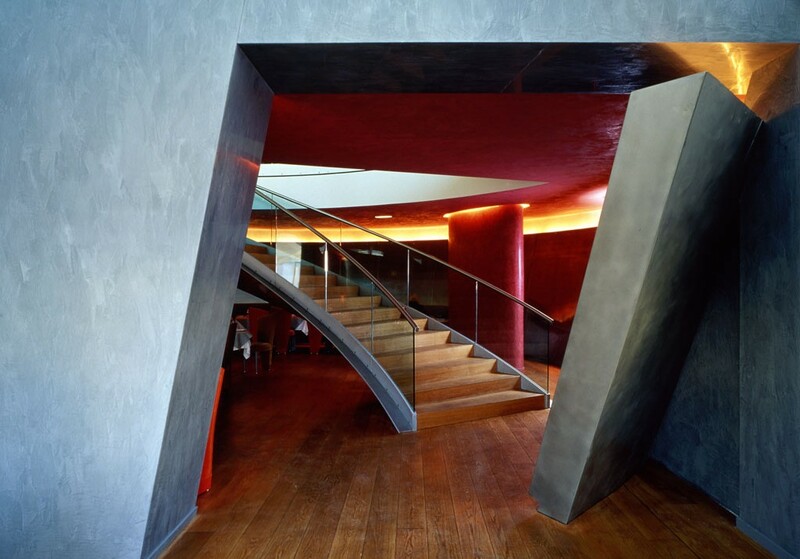 A large curved, metallic wall, softly reflecting the lighting, wraps itself around the staircase. On the left, the highest part leans forward, in the middle, it stands up straight, and, to the right, it leans over backwards in an inviting and unusual sweeping movement. The metallization of the curved wall was made possible for the first time “on location” through the use of spayed titanium particles. Renovation of interior spaces and conception of a new scenography. Creation of furniture.